Now available, imported washcloths by Royal Comfort , soft Combed Cotton, in assorted colors which match the Hand towels and Bath Towels from the Royal Comfort line. Buy them separate or order them by sets. Case packs are 10 dz ( 120 Pcs). Minimum purchase is one case. 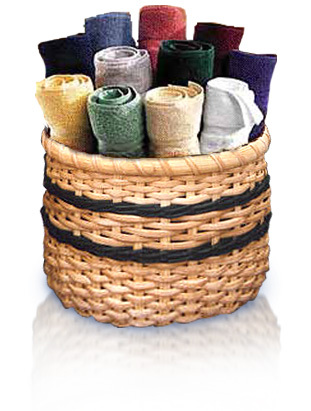 Usage: Entry level washcloths, for homes,hotels, Spas, Hair Salons Gyms, Medical Facilities, Schools Athletic Depts., Farms and more. Buy 1-2 Cases pay .95 cents ea. Buy 3-5 Cases pay .85 cents ea. If using AOL please turn OFF " block pop ups", otherwise the shopping cart wont work. Wash·cloth (w sh klôth , -kl th , wôsh -)n.A small, usually square cloth of absorbent material used for washing the face or body. Also called facecloth, washrag.